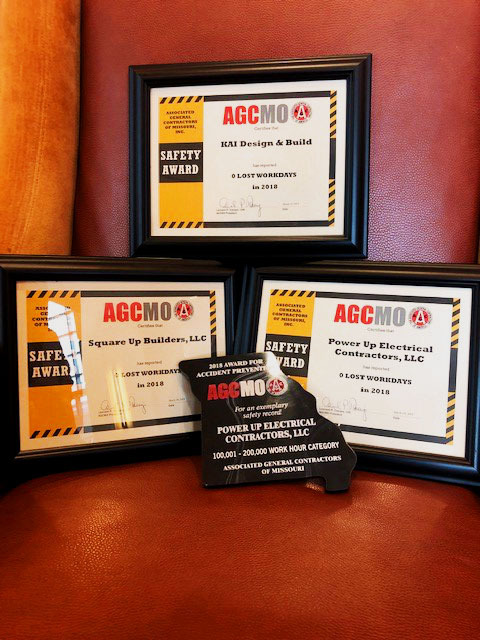 Each of our businesses collected awards for Zero Lost Workdays in 2018 at the AGCMO Annual Convention. In addition, Power Up collected the 2018 award for Accident Prevention in the work hour category of 100,001 to 200,000 hours. Power Up was also one of four contractors at the convention who qualified for the ECL Wagner Safety Award.